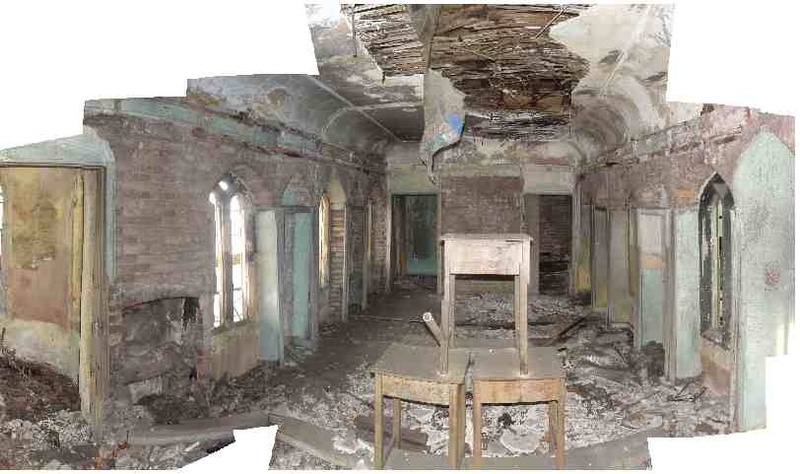 This photo, taken recently by project architect Ashley Davies of Austin-Smith:Lord, shows the extent of the damage and general deterioration to this fine building. Without the temporary protection that the Trust arranged, one can only imagine what further damage would have been caused by the current spell of bad weather. For further photographs, see the updated Projects page here.